Mom’s trust us. Pediatrician’s recommended us. The American Academy of Pediatric Dentistry recommends a professional teeth cleaning and exam every six months for optimal oral health. Pleasant visits to all smiles dentistry establish trust and confidence in your child. Pleasant visits to the dental office promote the establishment of trust and confidence in your child that will last a lifetime. Our goal is to help all children feel good about visiting the dentist and teaching them how to care for their teeth. From our special office designs to our communication style, our main concern is what is best for your child. 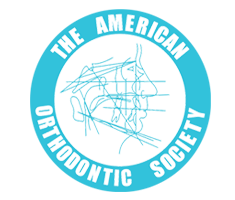 We strongly advise that a child establish a “dental home” by age one, which is also recommended by the American Academy of Pediatrics, the American Dental Association and the American Academy of Pediatric Dentistry. A good rule of thumb is to take your child to the dentist by his/her first birthday or when the first tooth appears, whichever comes first. There is very little risk in dental x-rays. In order to provide your child with the best possible care, we use low radiation, digital x-rays as a diagnostic tool. Dental x-rays are vital for identifying cavities and erupting teeth as well as for diagnosing the effects of trauma and planning orthodontic treatment. In order to reduce exposure, we use minimum radiation dosages, protective lead aprons and the most modern equipment available. The risk of undiagnosed and untreated dental problems is far greater than the risk posed by dental x-rays. What about thumb sucking and pacifiers? 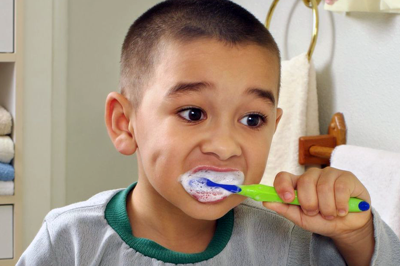 Will these habits affect my child's teeth? Thumb sucking and pacifier use usually do not cause problems unless your child continues this habit for a long period of time. Many children will naturally give up these habits on their own, however, if you notice that your child’s bite is changing (teeth are beginning to angle out or when the child bites down the teeth do not fit together) or your child is older than three years old, it is imperative that you intervene and help your child give up the pacifier or thumb. 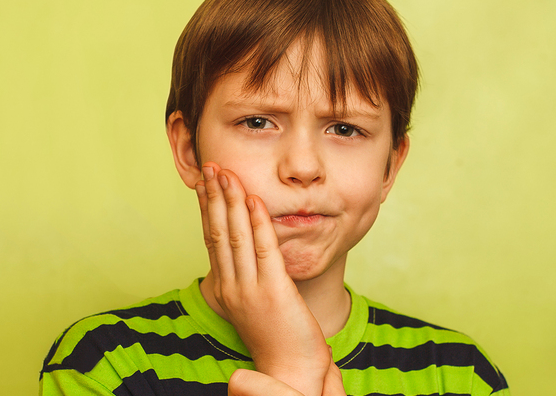 In some cases, a pediatric dentist may recommend a mouth appliance to discourage thumb sucking behavior. Any fluoridated children’s toothpaste approved by the ADA (American Dental Association) will work well. Your child may have a preference on flavor or Disney character printed on the tube! What role does sugar play in tooth decay? There are three things needed to produce a cavity: bacteria, a susceptible tooth (not sealed) and sugar. Everyone has some bacteria in their mouth. These bacteria feed on the sugars in the mouth produced by the breakdown of starchy foods or the simple sugars in things such as soda or candy. As the bacteria eat, they produce an acidic waste. Once bacteria colonize and feed on sugars in the mouth, the group produces enough acid to cause decay. There are two primary lessons to be learned from this explanation. The less sugar and starch in a person’s diet, the less likely bacteria will thrive, grow and produce decay causing acids. The simple act of brushing and flossing the teeth will disrupt and remove colonizing bacteria so they will be unable to produce enough acid to cause decay. Diet and oral hygiene habits are directly related to cavity causing decay! Some common causes of dental emergencies are listed below. 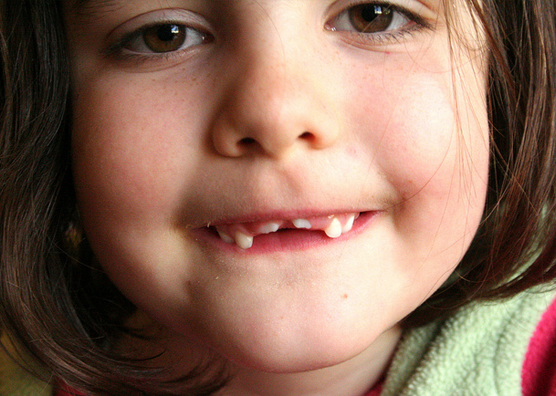 What if my child chips or breaks a tooth? A chipped or broken tooth requires an immediate trip to the childrens dentist office, even if the tooth is not a permanent one! Once a tooth has been chipped or broken, bacteria can enter the pulp or nerve of the tooth and cause an infection. It will be important for the dentist to evaluate the trauma and seal the enamel to keep the bacteria out. If you can locate the piece of broken tooth, put it in a glass of milk and bring it with you to visit the dentist. In some cases the broken piece of tooth can be reattached in the office. The first thing you can do is have him/her rinse with warm salt water. A cold compress on the face is indicated if you notice any swelling. You may also give your child acetaminophen (Tylenol) for pain relief. Even if the pain subsides, it is important to visit your pediatric dentist as soon as possible. Both bulimia and anorexia nervosa can have devastating effects on your oral health! Bulimics often binge and then purge (vomit) to get rid of the food. This practice causes teeth to constantly be bathed in stomach acid which erodes tooth enamel (especially on the back side of the teeth). Additionally, bulimia may lead to swollen glands, dry mouth and/or bleeding gums and a burning tongue. Anorexics deprive their bodies of nutrition by purposefully starving themselves to avoid weight gain. Without proper nutrition, anorexics often develop osteoporosis which causes bone loss and weakens tooth enamel. Weakened tooth enamel can lead to chipping or cracking teeth. Because of the direct relationship between oral health and overall health is so strong, a dentist may be the first person to suspect an eating disorder. If you believe you have an eating disorder, please speak to your doctor, dentist, school nurse or parents about getting treatment. 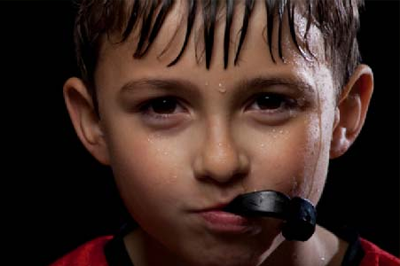 Does my child need a mouth guard to play sports? What kind should I choose? Yes! Mouth guards should be worn by both children and adults when playing any type of contact sports (football, hockey, boxing, etc.) and even in some non contact sports (softball, baseball, soccer, etc.) or recreational activities (skateboarding, mountain biking, etc.). The mouth guard will protect your child’s soft tissue, tongue and lips and reduce the risk chipping or breaking teeth during these activities. Usually a mouth guard covers only the top teeth, but sometimes, a lower guard will also be needed when a dental appliance or braces are in place. There are several different kinds of mouth guards available, some can be purchased at a sporting goods store, while others must be professionally made. If you choose to purchase one a sporting goods store, we recommend a “boil and bite” guard (which is made of a thermoplastic material that when heated can be shaped around your child’s teeth) rather than a preformed, ready-to-wear guard that cannot be molded around your child’s teeth. The preformed mouth protectors are the least expensive, however they are bulky, make breathing difficult and provide very little protection. The best protection is provided by a custom fitted guard which is made at your dentist’s office or professional laboratory from an impression of your child’s mouth. Do not smoke or chew tobacco! Tobacco use leads to lung problems, heart problems and oral cancer. Of all cancers, 2.4 percent of cancers occur in the mouth. And, tobacco use has been estimated to account for over 90 percent of all cancers in the oral cavity! If you are using tobacco and notice any changes in your mouth, contact your childrens dentistry immediately. 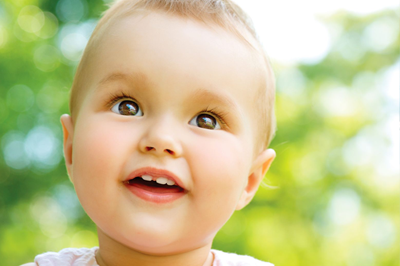 A child’s first visit to All Smiles Dentistry is important for several reasons. Maybe this is it their first ever dental visit, they have a specialized dental need or even if they may have had an unpleasant experience somewhere else, we are here to address your child’s needs. 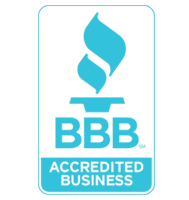 You can take comfort in knowing that our team will treat each patient with the utmost care. It can be helpful to understand what will happen at a visit to the dentist. All emergency problems will be the first to be addressed. If your child is in pain, we will do everything possible to alleviate or eliminate their discomfort. If there are no specific problems requiring immediate attention, we will begin a routine dental examination. These exams include close inspection of your child’s mouth (including their lips, cheeks, tongue, floor of mouth, tonsil area as well as hard and soft palate). 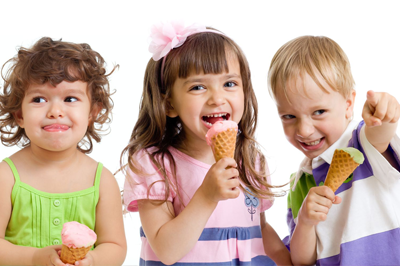 We also check the growth and development of the head, teeth and gums. 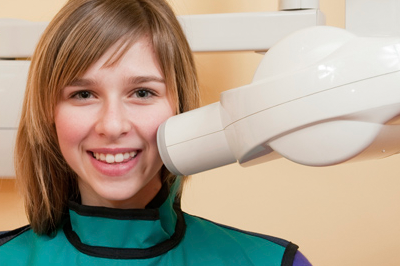 Your child will receive a thorough cleaning and topical fluoride treatment, and X-rays will be administered as needed. We will also evaluate any habits such as thumb-sucking or lip biting that may hinder or harm the development of teeth. After we have completed our initial examination, we sit down with parents to discuss the results and make recommendations about any follow up treatment that may be required. We work hard to try and make your child’s first visit with us as easy and enjoyable as possible! It is our goal to dispel any fears or anxiety and leave them looking forward to their next visit to All Smiles Dentistry. Depending on your child’s age and previous dental experience, we suggest you discuss with your child what to expect during their first visit to All Smiles Dentistry. You can explain to your child that the dentist is a friend that has a job helping people with their smiles. Describe that the dentist will look into your child’s mouth, count their teeth and clean them with a special, tickling toothbrush and might take some pictures of their teeth and mouth. We find that it’s best not to tell children that their visit to the dentist won’t hurt, because that thought may have not occurred to them at all. 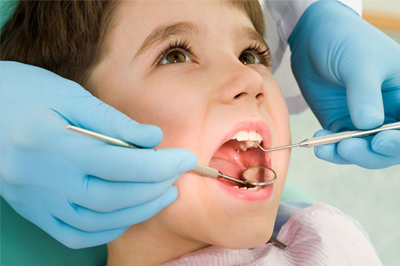 Instead, you can assure your child that the dentist will be very gentle and will take good care of them.